2008 Davao, Showroom Hans-Christian Schink, Berlin, Germany. Birds of Passage, Goethe-Institute, Riga, Latvia. 2007 Birds of Passage, Marvelli Gallery, NY. 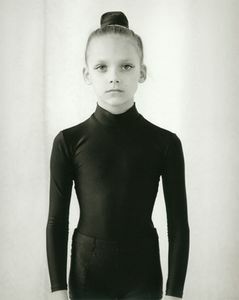 2006 Portraits, Galleria Suzy Shammah, Milan, Italy. In Persona, Fotoforum, Innsbruck, Austria. 2005	Ingar Krauss, Marvelli Gallery, NY. 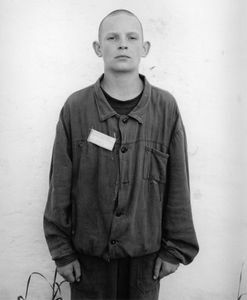 2004	In a Russian Juvenile Prison, Marvelli Gallery, NY. Von den Kindern weiss man nichts, Fotoforum Innsbruck, Austria. Why me?, Galleria Suzy Shammah, Milan, Italy. Portraits, Land Brandenburg Lotto, Potsdam, Germany. 2003	The Cat’s Eye, Marvelli Gallery, New York, NY. 2002	Katzenauge, Galerie Bodo Niemann, Berlin, Germany. 2008 Presumed Innocence, Decordova Museum, Lincoln, MA. 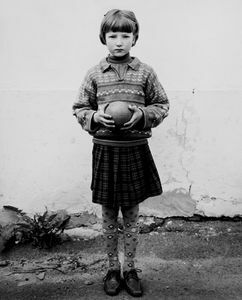 International Festival of Photography, Lodz Art Center, Poland. L’Arca, Galleria Bonomo, Bari, Italy. Nostalgie. 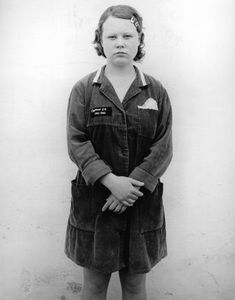 L’istante e la durata del tempo, with Craigie Horsfield,Hiroshi Sugimoto, William Kentridge and others, Museo d’Arte Contemporanea di Villa Croce, Genova, Italy. 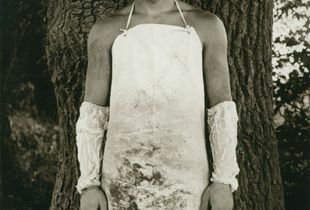 Male – work from the collection of Vince Aletti, White Columns Gallery, New York, NY. 2007 Portraits, Jackson Fine Art, Atlanta, GA.
Paesaggio con rovine, Quarter Relocated, Turin, Italy. 14th Noorderlicht International Photofestival: Act of Faith, Groningen,Netherlands. 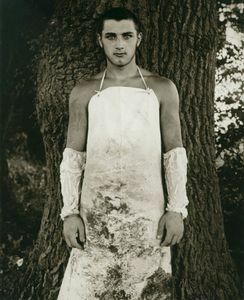 Contemporary Portrait Photography, Photographische Sammlung,SK Stiftung Kultur, Cologne, Germany. 2006	Ecce Uomo: with Damien Hirst, Mona Hatoum, Anselm Kiefer and others, Spazio Oberdan, Milan, Italy. Settimana della Fotografia Europea: with Jitka Hanzlova, Walter Niedermayr, Martin Parr, Paul Seawright and others, Reggio Emilia, Italy. Handsome: with Annika Larsson, Ivan Pinkava, Sam Taylor Wood, Matt Saunders and others, Galerie Analix, Geneva, Switzerland. Dijkstra and others, Museum of New Art, Pontiac, Michigan. 2004	Adoleszenz: Annabel Elgar, Steven Tynan, Evgeni Mokhorev, Marcelo Perocco and Ingar Krauss, Fotogalerie Wien, Vienna, Austria. Heranwachsend, Städtische Galerie Speyer, Germany. Switzerland. Je t’envisage: La disparition du portrait (Making Faces: the Death of the Portrait), Hayward Gallery, London, England. 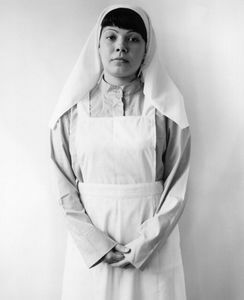 Schweppes Photographic Portrait Prize, National Portrait Gallery, London, England. 2002	Photobiennale Moscow, Moscow House of Photography, Russia. 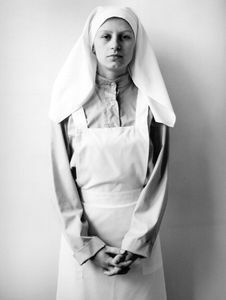 10th John Kobal Photographic Portrait Award, National Portrait Gallery, London, England. Dem Engel auf der Spur — Uebergangsphaenomene in Fotografie und Film, Nassauischer Kunstverein Wiesbaden, Wiesbaden, Germany. Art Forum Berlin, Berlin, Germany. 2008 Presumed Innocence. Decordova Museum and Sculpture Park. Massachusetts. January 2008. M., Peter. “Agnes B. – “Exhibition at C/O Berlin.” Berlinista, October 5, 2008. 2007	Aletti, Vince. “Ingar Krauss.” The New Yorker, December 17 and 27-28, 2007. Haas, Stefan. “From Civil Servants to Professionals.” Exit 27 August/September/October 2007. Holtzman, Anna. “Ingar Krauss.” Eyemazing, Issue 04. 2007. Merritt, Ray. “Full of grace- a journey through the history of childhood.” PowerHouse Books, January 2007. 2006 Nattoni, Riccardo. “La Cenere Delle immagini” spazi della memoria luoghi della perdita April 2006. 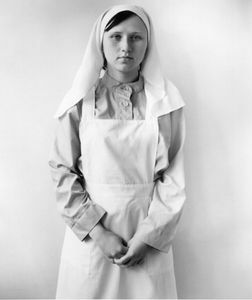 “Portraits, photographs by Ingar Krauss.” LensCulture. March 2006. 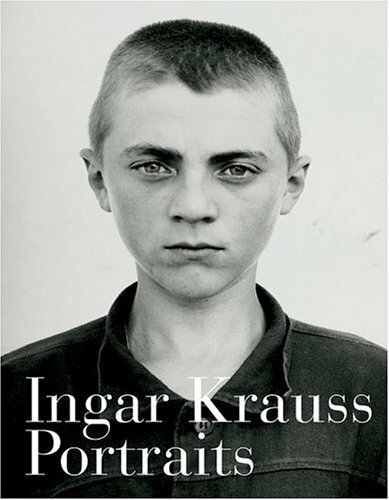 “Books: Portraits by Ingar Krauss.” International Center of Photography. March 2006. De Angelis Testa, Gemma, Risaliti, Sergio. “Ecce Uomo” Artisti Contemporanei Da Collezioi Private a Milano. Mondadori Electa. 2006, p. 88 – 91. 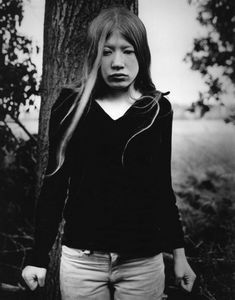 2005	Ingar Krauss: Portraits. Stuttgart: Hatje Cantz Verlag, 2005. texts by Vince Aletti and Ulf Erdmann Ziegler. “Ingar Krauss. ” Art on Paper. January/February 2005, Vol. 9, No. 3. “Russian Ark.” The New York Sun. September 7, 2005. “One to Watch: Ingar Krauss.” artkrush. November, 2005. 2004	Mutti, Roberto. 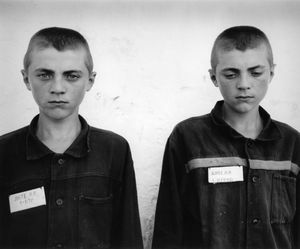 “Un reporter tra carceri e orfanotrofi.” La Republica, Milano: Fotografia, April 9, 2004.
adolescenti di Ingar Krauss.” Corriere della Sera. April 14, 2004, p. 59. Battistini, Matilde. “Perche io? Perche tuttie noi?” Diario. April 23, 2004. Aletti, Vince. “Shortlist Photo: Ingar Krauss.” The Village Voice. October 27, 2004. 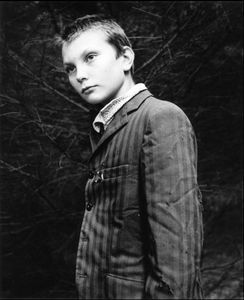 Meyers, William. “Photography Shows in Chelsea.” The New York Sun. Oct. 28, 2004. 2003	The New Yorker. 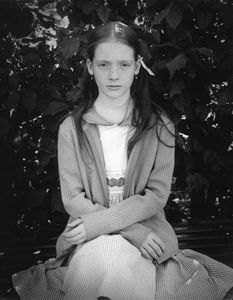 March 10, 2003, illustration Untitled (Sarah), p. 17. Dodin, Lev. Vecherniy New York, March 14-20, 2003. The New Yorker. “Photography.” Ingar Krauss, March 17, 2003. Aletti, Vince. The Village Voice. March 19-25, 2003. Vol. XLVIII, No. 12. Aletti, Vince. “Show World.” The Village Voice. October 22-28, 2003. Johnson, Ken. “Art Guide.” The New York Times. October 31, 2003. Kunsthalle Erfurt, Erfurt, Germany, 2002. Berg, Ronald. “Zwei Eeiten Jugend.” Der Tagesspiegel. May 25, 2002. Eastern European men from all social classes migrate long distances to harvest the crops in Germany. 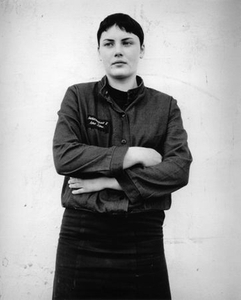 Ingar Krauss captures individual portraits after a long day of manual labor. 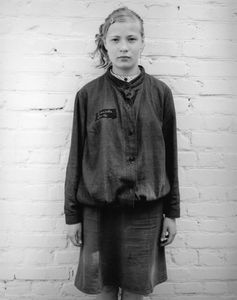 Adolescents from orphanages and juvenile prisons in central and eastern European are the subjects of these powerful and revealing portraits. Plus an interview with the photographer, Ingar Krauss.